POPE INVOKING GLOBALIZATION Pope Tearing Down Christianity For One World Religion. The US visit of the first Jesuit Pope in history concluded with a speech in Philadelphia's Independance Mall for a crowd of an estimated 50,000 at the world meeting of families. He pushed for globalization and his usual immigration agenda, preaching for immigrants’ religious freedoms in the presence of many celebrities which arrived from all over America. This after receiving an unusual blessing from Madonna during her concert in Philadelphia two days earlier, which featured lots of religious imagery including crosses used improperly, and fake nuns. These words have of course outraged most true Christians around the world who cannot imagine Christianity without the value of the cross, which symbolizes the ultimate sacrifice of Jesus for mankind. It’s impossible for a Christian of any denomination to imagine the very essence of their faith being discussed in this way, let alone by the Pope. The fact that blood was shed on the cross by Jesus for the ultimate self-sacrifice that could help rid mankind of all sins is one of those essentials of the Faith that should never be questioned. So why is the Jesuit Pope putting the sacrifice of the cross into question? The answer is to gradually prepare us for “One World Religion,” where no symbol will prevail over the other in the name of ecumenism. For this reason, the disgraceful use of the cross by people like Madonna is not only tolerated, but encouraged in their mission to destroy Christianity’s symbols. Why is this even more important for Muslim's than Catholics? Because the Muslims believe that to setup a califate and conquer a population they must subdue their enemy, Christians and Jews, by any means possible including calling into question the exclusivity of the of their God, Jesus Christ and to force tolerance to their religious demands to recognize Allah as equal with Jesus Christ. 2. Be sanctified by the truth, they are joining hands with unbelievers. (John 17:17). 3. Hate everything false, they are tolerating doctrines of demons and counterfeit gospels. (Psalm 119:104, 128). 4. Expose and name the agents of compromise, they are enduring them. (Eph. 5:11, 2 Tim. 1-4). Amazingly, we seldom hear warnings against apostasy from our pulpits. Rarely are false teachers, who seductively lead people away from the true faith, exposed. These apostates are appearing as ministers of righteousness and are facing very little opposition. They successfully deceive the undiscerning because pastors and church leaders are not speaking out against them. Very few Christians are warning the church of these ferocious wolves dressed in sheep’s clothing. The twenty-first century church needs strong leaders like the apostle Paul. He warned the early church, "even from your own number men will arise and distort the truth in order to draw away disciples after them. So be on your guard! Remember that for three years I never stopped warning each of you night and day with tears" (Acts 20:30-31). Throughout the Scriptures we are exhorted to test every spirit, every teacher and every doctrine because men are so easily deceived. It is indeed disturbing to see so many evangelicals unaware of the Vatican’s strategy for bringing the world under the dominion of the papacy. The Vatican has made a concerted effort since 1965 to bring their "separated brothers’ back home to "holy mother the church." In his 1995 encyclical Et Unum Sint, Pope John Paul II said he intends "to promote every suitable initiative...to increase the unity of all Christians until they reach full communion" and "to encourage the efforts of all who work for the cause of unity." The pope’s stated desire is "to gather all people and all things into Christ, so as to be for all—an inseparable sacrament of unity... expressed in the common celebration of the Eucharist." During a week of prayer for Christian unity Pope John Paul II said, "I gladly take this opportunity to call the attention of all believers to the ecumenical commitment that marked VC II. The council rightly defined the division among Christians as a scandal. The council Fathers felt the need to beg pardon of God and of their brethren for the sins committed against unity." He asked Catholics "to cultivate an authentic spiritual ecumenism" through the Virgin Mary [not through the Lord Jesus]. The success of the pope’s push for unity can be seen by the announcement made last year by the Archbishop of Canterbury. 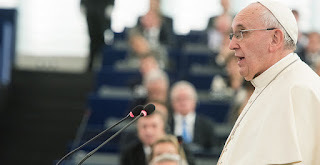 He urged all Christians to recognize the Pope as the supreme authority of a new global church (6/99 CRN News). In a document called The Gift of Authority, he describes the Pope as a "gift to be received by all the churches." It would do us all well to heed the words of C.H. Spurgeon, "Ignorance has been one of the grand agents of Popery ever since her establishment; by it, the eyes of men have been so blinded that they can scarcely discern between good and evil, and follow implicitly any guide even until they fall into the ditch of perdition." Catholic priest Tom Forrest, who is head of Evangelization 2000 said, "Our job is to make people as richly and as fully Christian as we can make them by bringing them into the Catholic Church. So evangelization is never fully successful, it’s only partial until the convert is made a member of Christ’s body by being led into the Catholic Church." The Vatican’s ecumenical movement goes beyond the unity of all professing Christians. Their strategy is to bring all religions under the power and influence of the papacy. Pope John Paul II has been traveling the world to build bridges to all non-Christian religions. In a recent speech he said, "Christians and Muslims, we meet one another in faith in the one God...and strive to put into practice...the teaching of our respective holy books. Today, dialogue between our two religions [Roman Catholicism and Islam] is more necessary than ever. There remains a spiritual bond which unites us and which we must strive to recognize and develop." Even Mother Theresa had the ecumenical spirit as noted from her book Servants of Love. She stated, "we went every day to pray in some temple or church. The Archbishop gave us permission to do so. We prayed with the Jews, the Armenians, the Anglicans, the Jains, the Sikhs, the Buddhists, and the Hindus. It was extraordinary. All hearts united in prayer to the one true God." As we watch the Vatican we can see a seductive strategy for uniting all Christians. They masterfully and deliberately redefine biblical terms to make them more vague, ambiguous and acceptable to both Catholics and Protestants. An example of this is the 1999 Lutheran-Roman Catholic "Joint Declaration on the Doctrine of Justification." In the declaration, Rome uses equivocal and indefinite words to affirm the doctrine of "justification by faith alone" but, at the same time, continues to affirm the anathema’s that condemn all who believe this doctrine. We must not be misled. Rome has not changed its position on things that really matter! Instead they take advantage of professing Christians who lack discernment or who are unwilling to contend for "the faith." The problem we are now facing stems from the belief that there is no absolute truth. This philosophy that everything is relative, depending upon the person and the circumstances, flies in the face of Christianity, where we understand that absolute Truth comes from and depends upon God and His Holy Word. They are obviously pushing for a Universal church, where everyone is included, and no one is told that their beliefs are wrong. The Church worldwide is facing an angry unbelieving world, wanting to force us to accept gay marriage as normal. As followers of Jesus Christ, our measuring stick for truth is His Word. It won’t be long before many of us are incarcerated and our churches closed, because those in authority claim that we are not tolerant of others and yet they are not tolerant of us as those who profess the christian faith. Why is this? Because they are driven by Satan the Great Deceiver: Satan -The Adversary(Matthew 4:10); The Devil -The Slanderer(Matthew 4:1); The Evil One(John 17:15); The Great Red Dragon -Destructive creature(Revelation 12:3,7,9,); Serpent of Old -Deceiver in Eden(Revelation 12:9); Abaddon-Destruction(Revelationn 9:11); Apollyon- The Destroyer(Revelation 9:11); Baalzebul -Lord of the Fly(Matthew 12:24); Belial -Worthless(Beliar)(II Corintians 6:15); God of this World - Controls the Philosophy of this World(II Corinthians 4:4); Ruler of this World(Rules the World System(John 12:31); The Prince of the Power of the Air -controls unbelievers(Ephesians 2:2); The Enemy -Opponent(Matthew 13:28); The Tempter -The Soliciter of Sin(Matthew 4:3); The Murderer -Leads people to Eternal Death(John 8:44); The Liar -The Perverter of Truth(John 8:44); The Accuser -Opposer of believers before God(Revelation 12:10). “I think it is up to the Catholic people to turn their backs on this Pope before it is too late, before they wake up and find out that they are in chains, this man is a Marxist through-and-through,” Savage said, claiming that he was “picked by the New World Order the way Obama was.” Source. Can The Antichrist Be Far Behind? ONLY GOD CONTROLS THE WEATHER: FACT OR FICTION? Click the title link to find the answer. The High Frequency Active Auroral Research Program (HAARP) is an ionospheric research program jointly funded by the U.S. Air Force, the U.S. Navy, the University of Alaska, and the Defense Advanced Research Projects Agency (DARPA). Designed and built by BAE Advanced Technologies (BAEAT), its purpose is to analyze the ionosphere and investigate the potential for developing ionospheric enhancement technology for radio communications and surveillance. 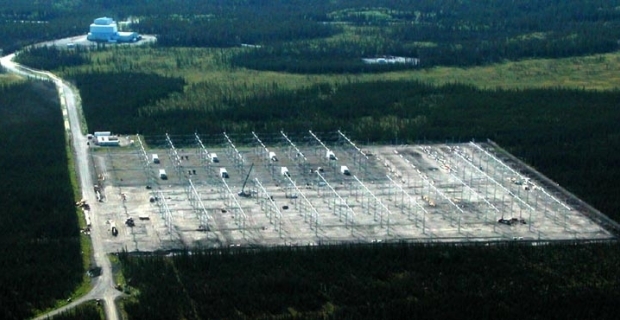 The HAARP program operates a major sub-arctic facility, named the HAARP Research Station, on an Air Force-owned site near Gakona, Alaska. Note the transmitter antenna array at the facility in the picture above. The most prominent instrument at the HAARP Station is the Ionospheric Research Instrument (IRI), a high-power radio frequency transmitter facility operating in the high frequency (HF) band. The IRI is used to temporarily excite a limited area of the ionosphere. Other instruments, such as a VHF and a UHF radar, a fluxgate magnetometer, a digisonde (an ionospheric sounding device), and an induction magnetometer, are used to study the physical processes that occur in the excited region. The IRI literally causes the ionosphere to boil where the targeted high-power radio waves are focused and it is thought to be used for weather modification purposes among other types of experiments conducted at the facility. Below is a video presentation of Dr. Nick Begich,(author of Angels Don't Play This Harp) presenting a lecture titled HAARP:Technology to Control The Weather at the Breakthrough Energy Movement Conference held in 2012 in Holland. Dr. Begich begins with an explanation of the HAARP system and Weather Control and ends with how new advances in electromagnetics will be used to control the human mind first as a military weapon and then for population control.